The Pagani Zonda began like so many ill-fated attempts at supercar production – as a dream and sketch by its designer, Horacio Pagani. The company was founded seven years prior to production beginning. But that time wasn’t wasted and Pagani wasn’t just any junior high kid wanting to go fast. He was already rich and had a lot of techncial know-how, having worked at Lamborghini and owning his own composite research company that made him a lot of money. The Zonda is a legitimate supercar – and a legitimate car. The Zonda was well-designed and it is supercar pretty and supercar fast. This one owner car was built in 2003 as a Zonda S 7.3, which used a 7.3-liter AMG-built V12 making 547 horsepower. It could do 208 mph and cost around $500,000. This was the bread and butter Zonda variant. However, in 2009 this car was involved in an accident and sent back to Pagani for repairs. While being repaired, it was also updated/upgraded to Zonda F specification (it is listed as a 2003/2010). Other limited-edition Zonda models were also in production and bits and pieces of some of them were included on this car, including pieces from the Zonda Cinque and Tricolore. Power is now at 594 horsepower and the upgrades cost a whopping 77% of the original purchase price! 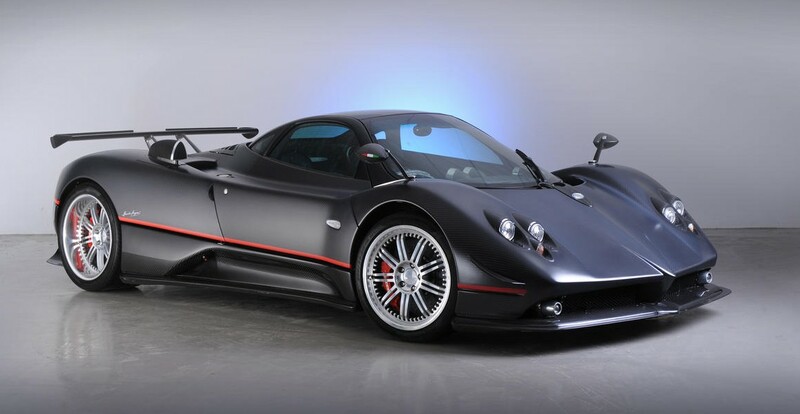 It is truly a one-of-a-kind Zonda, a model that is now out of production. The pre-sale estimate is $800,000-$950,000. For more information and photos, click here. And for the rest of Bonham’s auction lineup, click here. This entry was posted in Uncategorized and tagged 2003, 2010, auctions, Bonhams, c12 s 7.3, cars, pagani, supercars, zonda, zonda f by classiccarweekly. Bookmark the permalink.